In this post series, we will study the Lightweight Directory Access Protocol (LDAP): a protocol developed in the 90s to be an open, simpler alternative to other directory protocols. We will also talk about Active Directory (Microsoft's LDAP implementation with extra features) and how to use it as an authentication mechanism. For the purposes of this post, we will focus on the generic LdapConnection API. In the next post, we will take a look at the Active Directory specific PrincipalContext API. Get the full code and read on! LDAP is a protocol that defines a series of operations through which you can access information that is part of a directory. A directory is a tree containing a set of attributes associated with a unique identifier (or primary key). If you are familiar with document-based databases, this may sound familiar. The primary key is usually a name. This means that LDAP is perfectly suited to be a user information database. Even though most of the time it is used as a user directory, LDAP can also work as a generic information sharing service. One common use of LDAP is as part of single-sign-on (SSO) systems. If you are not familiar with SSO, read our introduction to SSO. 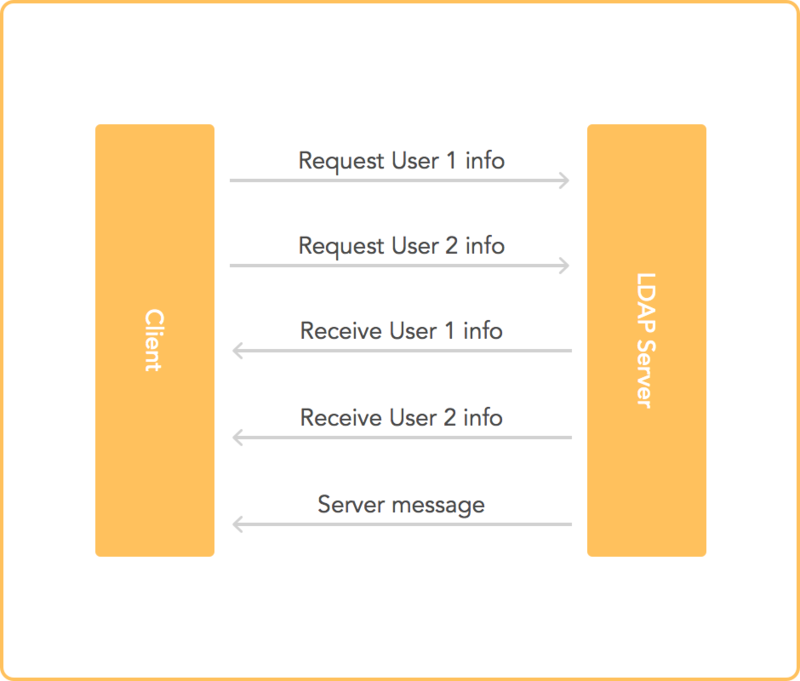 The following diagram shows how a simple SSO system can work using LDAP. The diagram shows a simplified Microsoft Active Directory configuration using LDAP. Active Directory stores user information in an LDAP server. When a user attempts to login to his or her Windows PC, Windows validates the login information against the LDAP/Active Directory server. Whenever a user tries to do something that requires authentication, an application can use information from the Active Directory server to validate the user's identity. Of course, if SSO is not required, Active Directory can also be used as a simple authentication mechanism. Global Catalog: a special type of server that stores reduced sets of replicated information from DSAs to speed up searches. "The best way to understand a protocol is to get your hands a bit dirty and learn its inner workings." Clients send requests to the server. In turn, the server answers those requests. Most requests are asynchronous; others are necessarily synchronous (such as the connection handshake). Additionally, the server may send special messages to clients even when there are no pending requests that require a response (for example, the server may send a message to notify clients that it is shutting down). All information is encoded using ASN.1 (see below for more details). TLS and/or SASL may be used to ensure privacy and perform authentication. The following operations have .NET samples. A full working example can be found in the example section below. Test to determine whether a given attribute is present and has the specified value. Move an entry to a different path. Furthermore, additional protocol management operations are defined (connect, disconnect, negotiate protocol version, etc.). All operations are performed using messages encoded in Abstract Syntax Notation One (ASN.1) format using Basic Encoding Rules (BER). ASN.1 is defined in ITU standard X.680, while BER and other encodings are part of ITU standard X.690. ASN.1 defines a series of datatypes (such as integer, string, etc. ), a textual format description (schema), and a textual representation of values. BER, on the other hand, defines a binary encoding for ASN.1. BER is a traditional tag-length-value encoding. If you are interested in the gritty details, you can read a nice summary of BER encoding at Wikipedia. In the example above, we can see that an LDAP message carries a message id (an integer going from 0 to maxInt), an operation object (each object is defined elsewhere), and an extra field called control (which is defined somewhere else in the schema under Control). LDAP is defined using the same notation as the data format it uses internally. Behold the power of ASN.1! In this example we first see a schema for a human. A human has two required fields (name and first-words) and an optional field (age). The first-words field has a default value of "Hello World" in case it is missing in a model. The age field in turn can be one of two options: biblical (any integer from one to 1000) or modern (any integer from one to 100). What follows after the schema is a human model conforming to the above schema (a human named "Adam," using the default value for first-words, with a biblical age of 930). The examples above make it clear that the distinguished name (DN) uniquely identifies an entry. When it comes to LDAP, LDIF is much more common than the alternatives. In fact, tools such as OpenLDAP use LDIF as input/output. .NET provides a convenient set of classes to access LDAP and Active Directory servers. 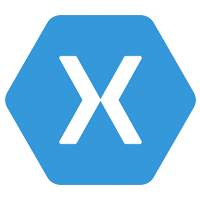 Here are the relevant .NET docs. The following example has been tested against OpenLDAP 2.4. Get the full code. Note this is not the model for an Active Directory user. Active Directory users can be validated using the bind operation (see below). In practice, credentials stored in an LDAP directory are validated using the bind operation. The bind operation means "log-in to an LDAP server using a specific set of credentials." If the bind operation succeeds, the credentials are valid. The mapping of a user to an actual entry in the LDAP directory is set up in the server configuration (Active Directory has specific rules for this; other LDAP servers leave this detail to the administrator). If you have full access to the credentials stored in the directory, you can compare the hashed passwords of your users to validate credentials. Note that this is NOT how Active Directory stores credentials. Users in an Active Directory server must be validated using the "bind" operation (using either this API or PrincipalContext, which we will discuss in the next post). See the previous example for information on how to perform a bind operation using this API. Check your server's configuration to pick the right connection parameters. If you are using LDAP + SASL, do not forget to set the right SASL params in the OpenLDAP config file. For instance, the following line tells OpenLDAP to use the SASL database directly. See the full code for examples on searching, modifying and deleting entries. At Auth0 we care about all our clients. If you have an existing LDAP deployment, you can integrate it with Auth0. LDAP deployments are usually installed inside a corporate network. In other words, they are private. Since they are private, there is no access to the LDAP server from the outside. Since our authentication solution works from the cloud, it is necessary to provide a means for the internal network to communicate with our servers. 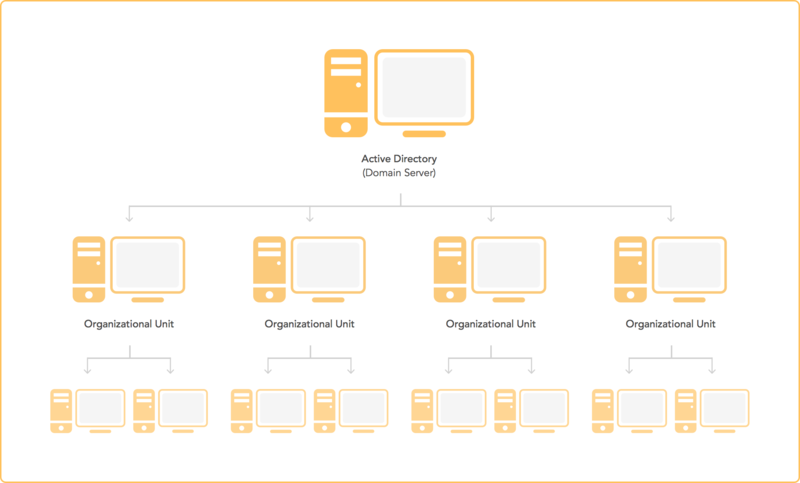 This is what we provide in the form of the Active Directory/LDAP connector. This is a service that is installed in your network to provide a bridge between your LDAP server and our own servers in the cloud. Worry not! The connector uses an outbound connection to our servers so you don't need to set up special rules in your firewall. 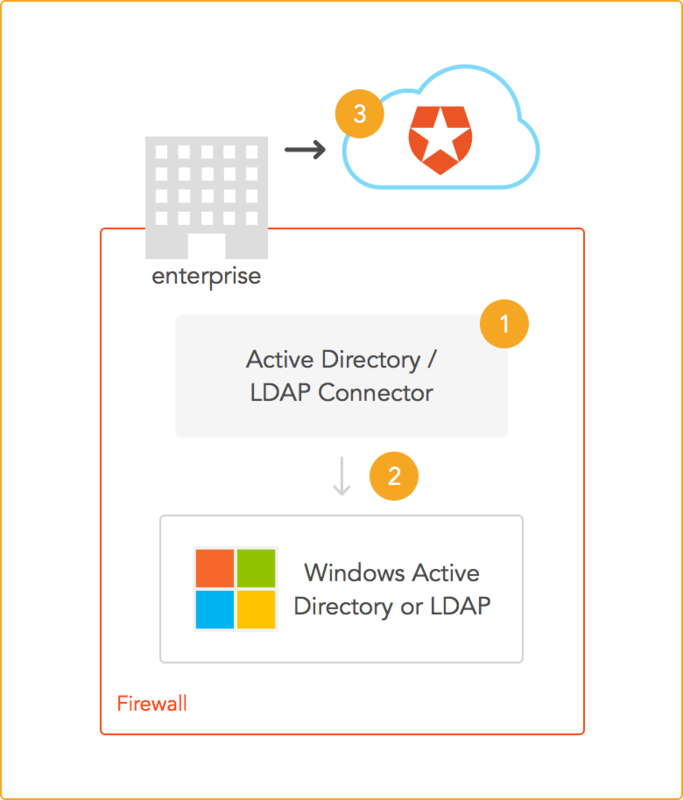 To enable LDAP for your Auth0 apps, first go to Connections -> Enterprise -> Active Directory / LDAP. Follow the steps to setup the LDAP connector (you will need the LDAP server details) and then enable LDAP for your app. The following examples use the LDAP server setup for our C# example above. 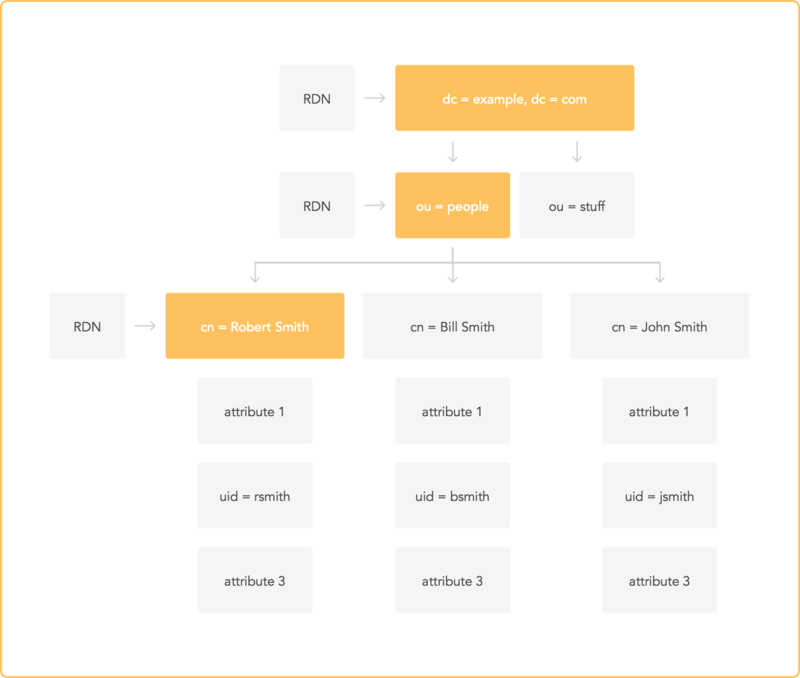 Once you have enabled LDAP in the dashboard and set up the connector, you can follow the usual steps for our Resource Owner Password flow. Logging in using an email and password just works! You can log in using our RESTful API for database, passwordless and LDAP users. LDAP was designed as a lightweight protocol that can access directory contents. As it evolved over the years, it gained important features, such as authentication and transport security. As a well defined means to get user information, it has found its way to small and big deployments. Its simplicity and openness have kept LDAP relevant through the years. Nowadays, single sign on systems can also work using LDAP. Fortunately, integrating LDAP to existing or new projects is easy. In our next post, we will focus on Active Directory specifics using the PrincipalContext API. Stay tuned!